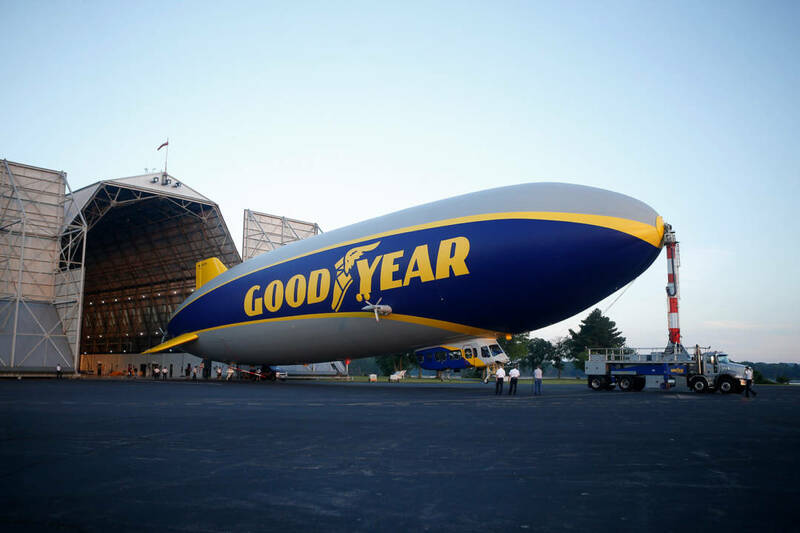 Goodyear’s newest airship, Wingfoot Three, debuted outdoors on the first day of summer. 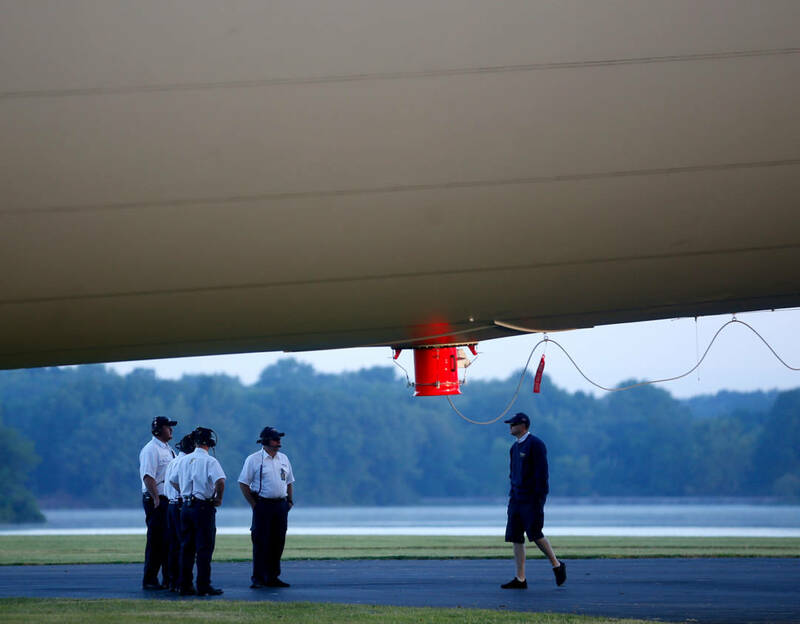 The airship, under construction since last year inside the Wingfoot Lake blimp base in Suffield Township, was pulled out of the hangar about 6:15 a.m. Thursday for testing. The blimp was expected to remain outside until about noon before returning to the hangar. 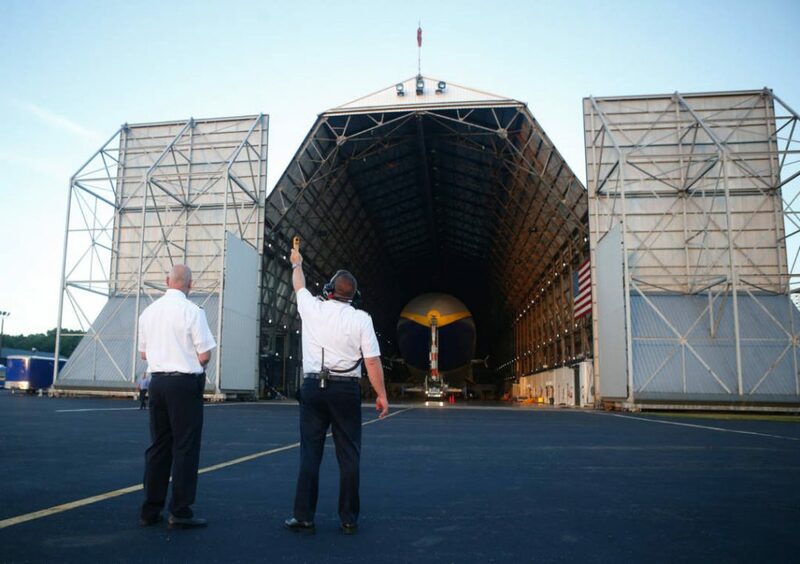 Chief pilot Jerry Hissem (right) measures the wind before the newest Goodyear blimp, Wingfoot Three, is moved out of the hangar for testing. 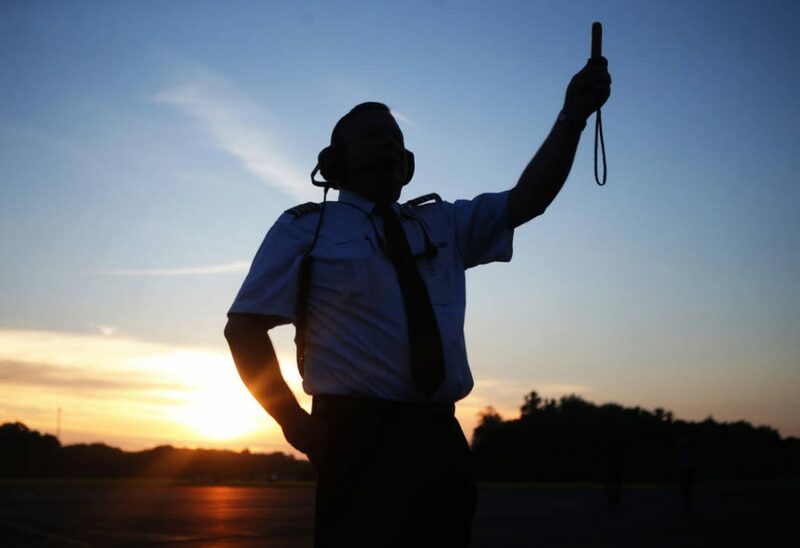 Chief pilot Jerry Hissem is silhouetted as he tests the wind before the newest Goodyear blimp, Wingfoot Three, emerges from the hangar at the Goodyear blimp base. 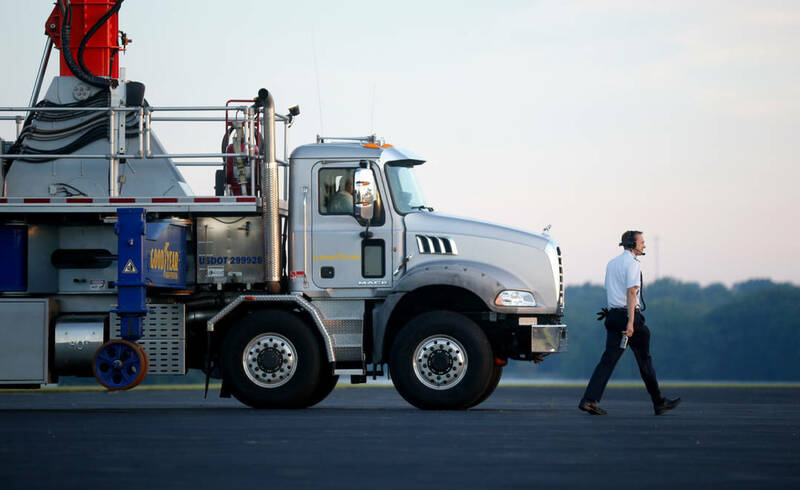 Wingfoot Three remained tethered to its heavy-duty mast truck for the outdoor engine and systems checks. The newest Goodyear blimp, Wingfoot Three, is hauled out by a mast truck to undergo testing at the Goodyear blimp base on Thursday, June 21, 2018, in Suffield Township, Ohio. The first flight could take place this weekend. But the forecast as of Thursday called for rain on Friday and Saturday, which would postpone the first flight. The newest Goodyear blimp, Wingfoot Three, is moved out of the hangar for testing at the Goodyear blimp base in Suffield Township, Ohio. 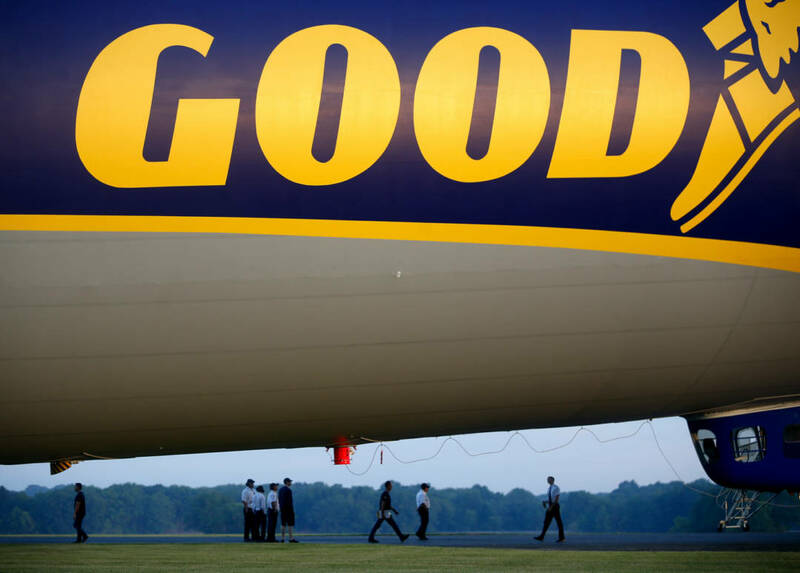 Goodyear on Thursday confirmed this new semi-rigid airship will be called Wingfoot Three. 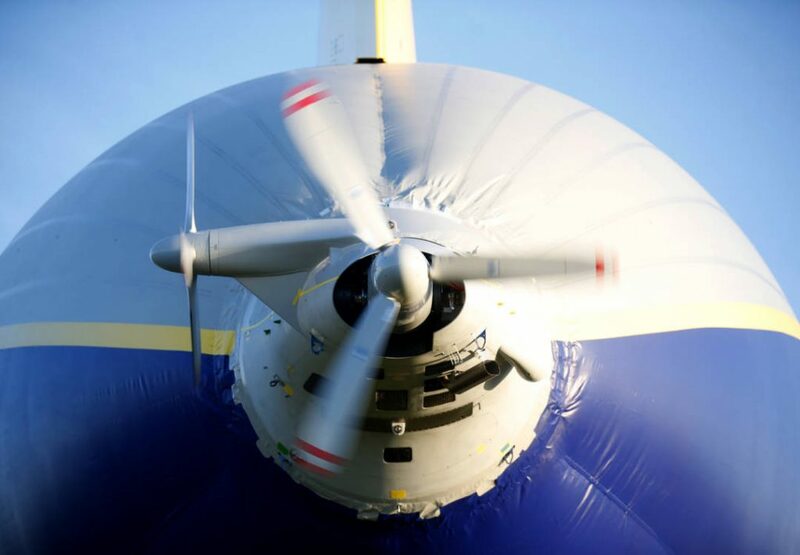 That’s not a surprise – the blimp’s two sister NT, or New Technology, ships are Wingfoot One and Wingfoot Two. The newest Goodyear blimp, Wingfoot Three, undergoes testing at the Goodyear blimp base. 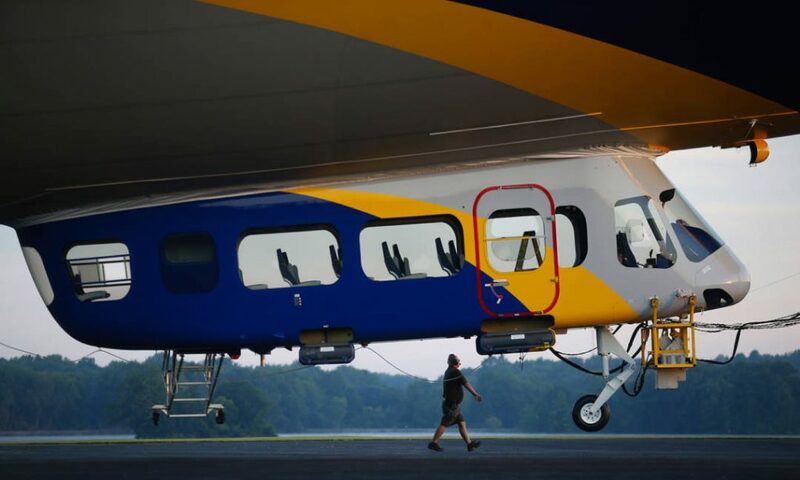 Wingfoot Three’s most noticeable difference from the first two airships are two extra windows at the rear of the gondola that holds the flight crew and passengers. Wingfoot Three is the third and final NT airship for Goodyear. The NT airships were made by German manufacturer Zeppelin. The Wingfoot Lake site will be the permanent base for Wingfoot Three, meaning it will be a familiar sight in Northeast Ohio skies. Basaran, who is 37, said he will be flying all three airships, with his home base at Wingfoot Lake. If all goes well, Wingfoot Three could be put into official service in the next month or two, Basaran said. Grounds crew remove cones from the testing site of the newest Goodyear blimp, Wingfoot Three, so the blimp can complete a compass swing. 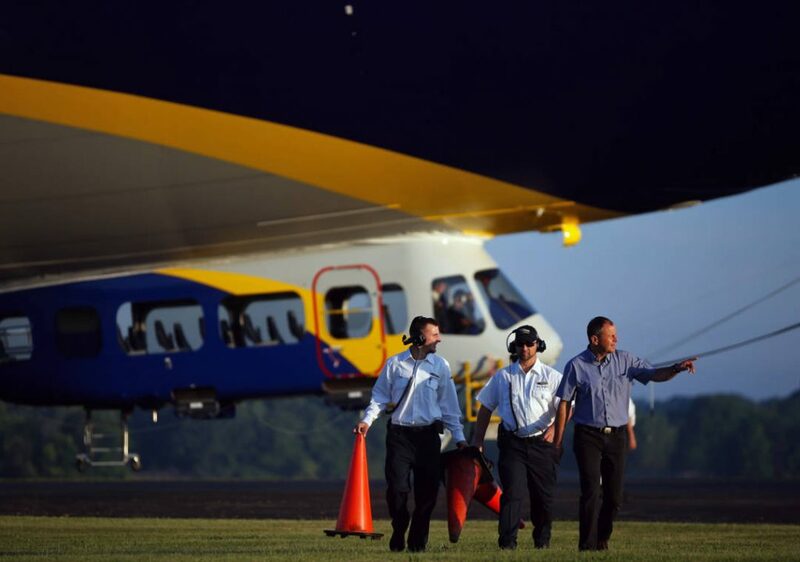 Weather conditions Thursday were perfect for Wingfoot Three’s debut, with blue skies and a light breeze. For those of you keeping track, the blimp left the hangar just eight minutes after the summer solstice, also known as the longest day of the year, began at 6:07 a.m. The back propellers of the newest Goodyear blimp, Wingfoot Three, are fired up at the Goodyear blimp base on Thursday, June 21, 2018, in Suffield Township, Ohio. 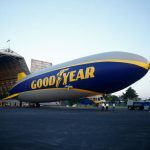 In case you looked up in Akron-area skies recently and saw a Goodyear blimp, that was Wingfoot One, which first flew in 2014 after being built at Wingfoot Lake. The airship flew here from its Florida home in early June, stayed temporarily at Wingfoot Lake and now is touring elsewhere in the Midwest. This entry was posted in Airships, Blimps, Semi-Rigid and tagged airship, Akron, blimp, Blimp Hangar, Blimp NT, goodyear, Goodyear blimp, Wingfoot Lake hangar, Wingfoot One, Wingfoot Three. Bookmark the permalink.